LONDON/ROME (Reuters) - British budget airline easyJet pulled out of talks to rescue Alitalia on Monday, leaving the Italian carrier's future uncertain only two weeks before a deadline to save it. 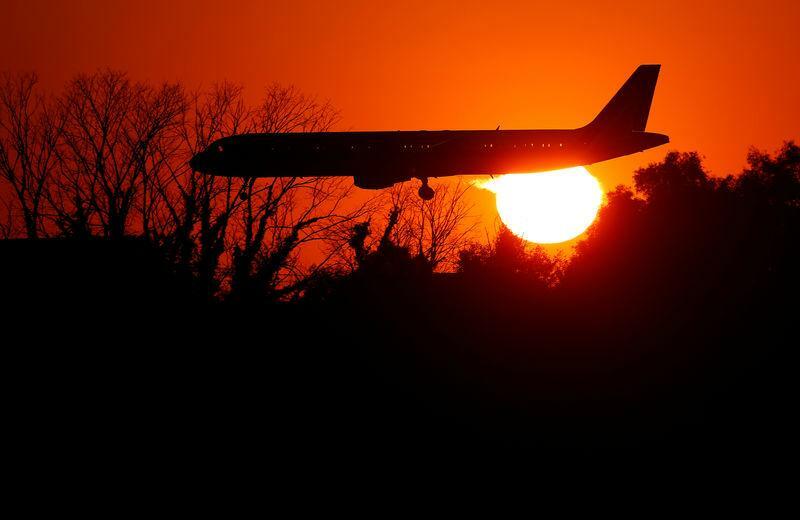 EasyJet said it had decided to withdraw from the process after talks with Italy's state-controlled railway Ferrovie dello Stato and U.S. airline Delta Air Lines. "Discussions remain ongoing as Alitalia is a long-standing partner of Delta," the U.S. airline said, while Alitalia and Ferrovie were not immediately available for comment. Italy's populist government, which has made the re-launch of Alitalia one of its priorities, is sponsoring a plan that would see Ferrovie inject fresh funds and revamp the carrier together with industrial partners. EasyJet, whose shares were unaffected by its announcement, had said several times it was interested in Alitalia's short-haul operations and positions at primary airports. "EasyJet pulled out because it wanted to control (Alitalia's) Milan hub and use it for point-to-point flights. This could not be done," another source said. EasyJet said in a statement it remained committed to Italy as a key market: "We continue to invest in the three bases in Milan, Naples, (and) Venice".